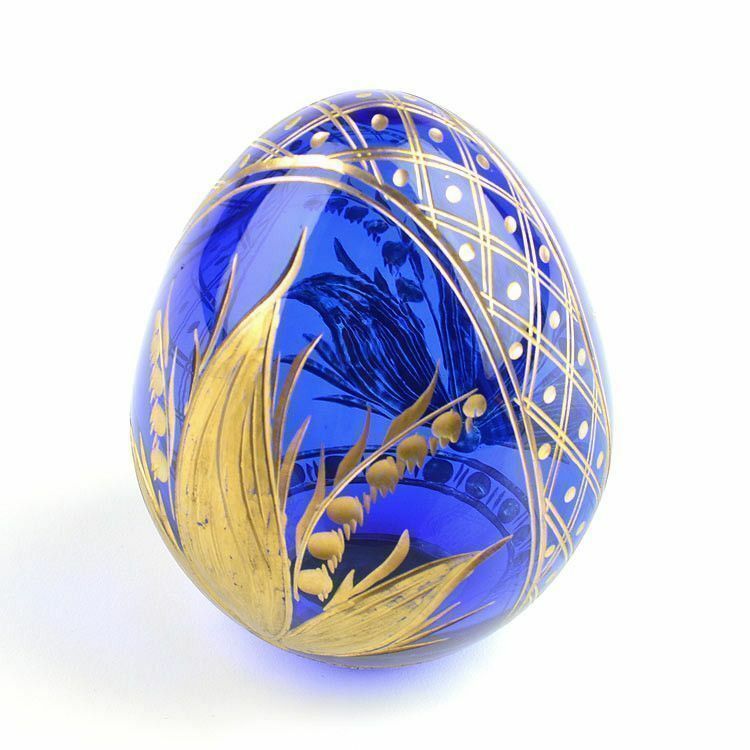 This "botanical" blue and gold fine crystal egg was Hand-blown and carefully engraved in Saint Petersburg, Russia with a wonderful floral design. 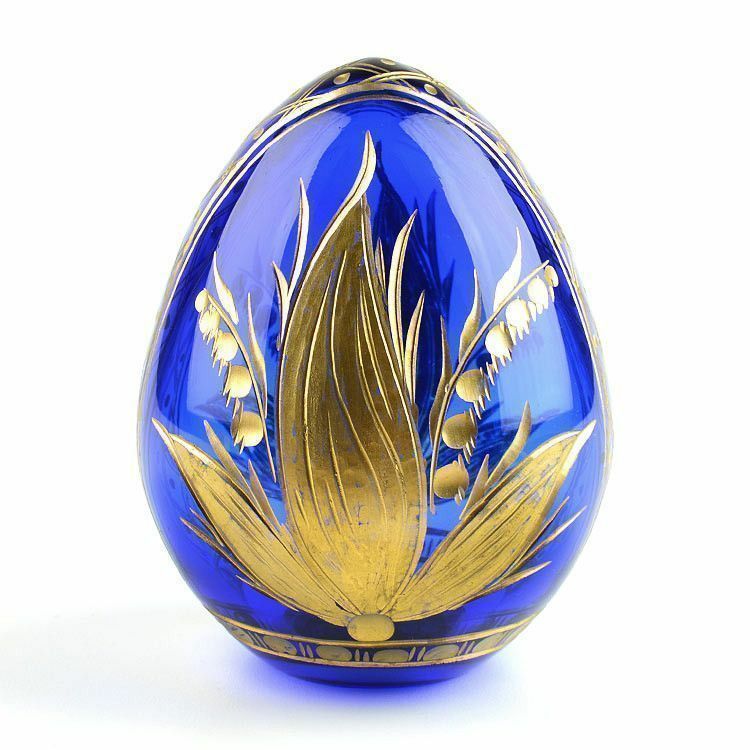 It has an truly wonderful transparent appearance and is encrusted with 22-carat gold. It is about 3 3/4" tall. Looks wonderful on a shelf that gets some light and makes an awesome Easter gift. This egg has the same botanical design on either side. 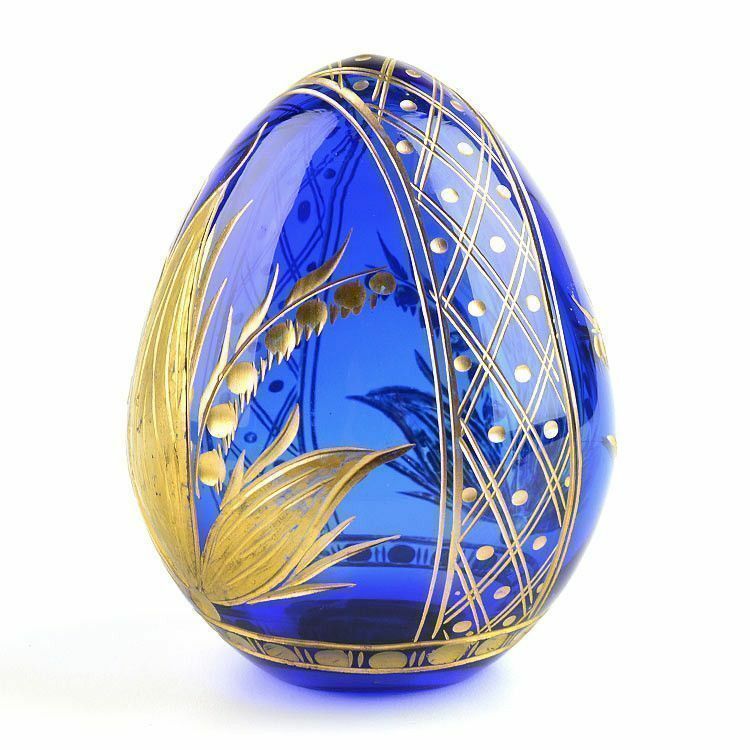 Due to the hand-made nature of this product, designs may slightly vary between each egg.